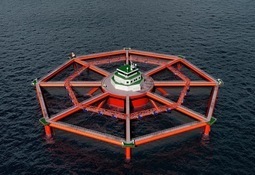 Norwegian salmon farmer SalMar has reported the suspected presence of infectious salmon anaemia (ISA) at its pioneering Ocean Farm 1 cage. Around 16,000 salmon escaped from SalMar’s experimental Ocean Farm 1 cage last September, it has been revealed. The first generation of salmon grown in SalMar’s revolutionary Ocean Farm 1 will be ready for harvest within the next couple of weeks, and the crop looks good, chief executive Olav-Andreas Ervik has said. The chief executive of Norwegian salmon farmer Salmar, which owns the pioneering Ocean Farm 1, says the company has thoroughly reviewed and tightened operational routines following a fish escape from the facility in early September. 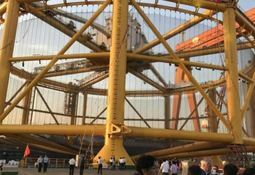 A small number of salmon escaped from SalMar’s flagship project, Ocean Farm 1, on Monday after the structure tilted and the top on the internal net dipped below the water line. SalMar, which owns the world’s first offshore salmon farm, Ocean Farm 1, has announced ambitions to be build an even bigger facility capable of holding more than 12,000 tonnes of fish. 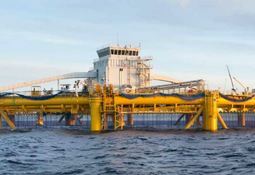 Trond Williksen, managing director of Salmar, says he is pleased that the construction and delivery of the world’s first offshore fish farm has been completed and now it is time to “focus on operations”. 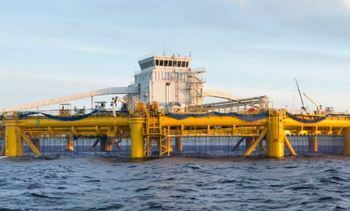 Salmar’s giant Ocean Farm 1 fish farm has arrived in Norwegian waters following an 11-week journey from China. 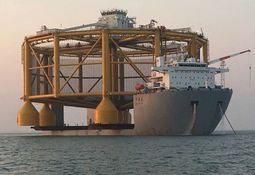 Salmar has taken delivery of Ocean Farm 1, the world's first deep-sea fish farm.